Statin drugs can save lives—if we take them intelligently. (NAPSI)—While heart disease is America’s No. 1 killer, it can be preventable, thanks largely to cholesterol-modifying drugs called statins. Since statins were first introduced in the late 1980s, dozens of clinical trials in hundreds of thousands of patients have proven that statins can prevent heart attacks and stroke and save lives. Statins work by greatly reducing LDL, or “bad,” cholesterol, which can prevent or reverse hardening of the arteries, the primary cause of heart disease and stroke. Unfortunately, statins don’t work if patients don’t take them—and as many as three-quarters of patients refuse to take statins or stop taking them within a year. So why do so many patients stop taking their statins—or refuse them in the first place? A common concern is the myth that statins cause liver damage. Statins can increase the blood lev- els of some liver enzymes, so it has been assumed that they harm the liver, or even lead to liver fail- ure. Recent studies, however, have shown that people taking statins have no more liver damage than people who don’t. For this reason, the U.S. Food and Drug Administration removed their recommendation for regular liver testing in statin users. Another recent concern is that statins can cause diabetes, but this risk is small compared to the protection against heart disease. Further, a recent analysis found that statins may cause diabetes only in patients already at high risk of developing diabetes. Some patients worry that statins may interfere with other medications. It is true that 84 percent of statin users take a prescription, over-the-counter medication or dietary supplement that could react with their statin. That’s why all patients who are prescribed statins need to provide their doctors with a list of all medications and supplements they’re taking. Doctors and patients then can create a personalized plan for the best statin, and non-statin, treatment, customized to the patient’s unique medical situation, cultural perspective and personal circumstances. Widespread statin use accounts for much of the progress we’ve made against heart disease, but the problem is far from solved. 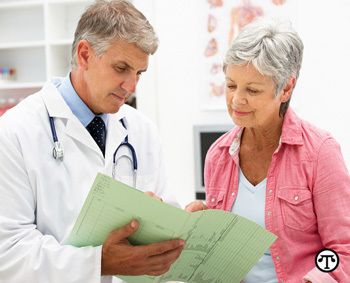 Patients must be proactive by having their cholesterol levels checked, and then by following up with their doctors for whatever treatments may be needed, whether this requires changes to diet and lifestyle and/or the use of a statin or other medications. Dr. Brinton is the Director of Atherometabolic Research at the Utah Foundation for Biomedical Research and a co-author of the largest U.S. survey of statin users, the Statin USAGE survey, sponsored by Kowa Pharmaceuticals America, Inc.